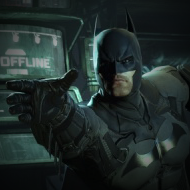 Arkham Origins introduces a multiplayer component to the series with two seperate modes. Invisible Predator Online revolves around a gang war in Blackgate Prison between supervillains Joker and Bane. Three Joker gang members fight three Bane gang members, and in turn the team of Batman and Robin. 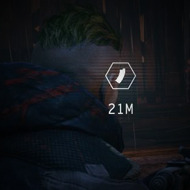 Gangs win by killing all the opposing team's reinforcements, while Batman and Robin win by acquiring intimidation points (from eliminating gang members). 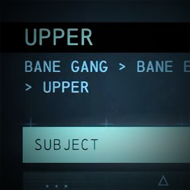 A gang member can become boss (Joker or Bane), gaining more-powerful abilities. 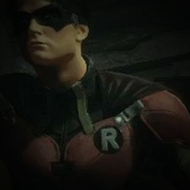 Gang members can access guns and explosives; Batman and Robin can access gadgets and abilities from the main game, including Detective Vision. Gang members have a limited Enhanced Vision, which requires recharging. Hunter, Hunted sets three Joker thugs and three Bane thugs against Batman in a last-team-standing match in which each character has one life.